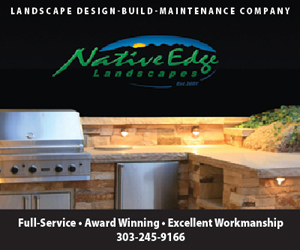 With all of the time and effort we spend on our gardens, we sometimes forget that Mother Nature is the best gardener of all. 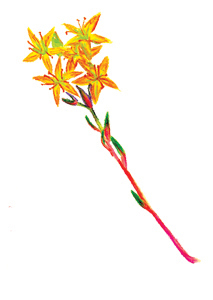 Here is an illustrated guide to her creations, some of which thrive in urban gardens, too. Wildflowers unfailingly appear year after year on Boulder County trails. These hardy survivors endure drought, freezes, hail, heat, grazing and other traumas to please us each spring, summer and fall with their specialized blooms. 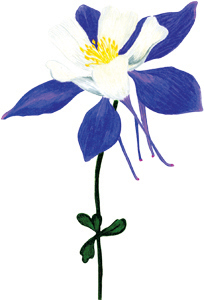 The following guide to these bewitching beauties is courtesy Boulder Open Space & Mountain Parks. Oregon grape prevents erosion on steep hillsides. 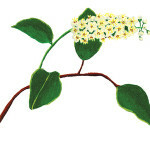 These tiny flowers can be very fragrant, so stop and sniff. 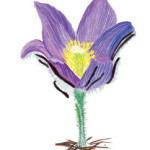 The fuzzy hairs on pasque flowers keep them warm, allowing them to bloom very early in spring. 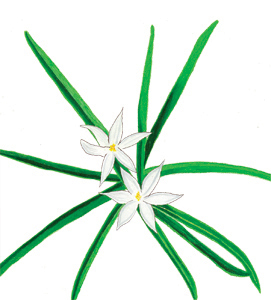 Sand lilies bloom early in spring, and all but the underground part of the plant dies soon afterward. Flax has been used for fiber since ancient times. Linen is made from flax stems cured in water. 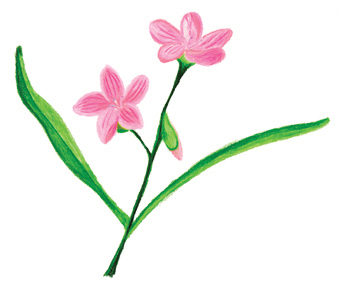 Look at the delicate pink lines on the flower petals. Like runways, these guide insects to nectar. Golden banner is toxic to humans and many animals, but caterpillars feed safely on it. 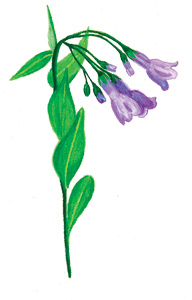 Although their name implies it, mountain bluebells aren’t just blue. Look for other colors in the buds. 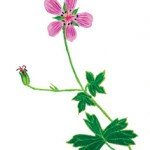 Geranium comes from the Greek word “geranos,” or crane. 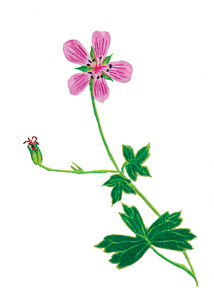 This plant is often called cranesbill because of the shape of the seedpods. Bears, coyotes, foxes, birds, butterflies, bees, chipmunks, squirrels, rabbits and deer all depend on chokecherries for food. Look for tent caterpillars in the branches. 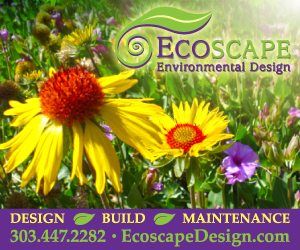 If you find one arnica plant, you’ll probably find several. Like aspen, arnica spreads underground to form colonies of many connected plants. 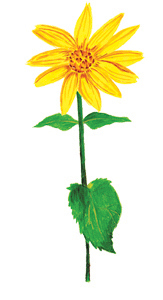 Arnica has been used medicinally for hundreds of years. Do the leaves look heart-shaped to you? Paiute and Shoshone Indians found wild iris to be a cure for toothache. 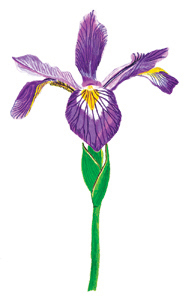 However, like many other medicinal plants, wild iris can be poisonous. 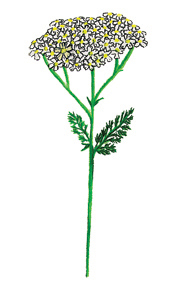 The Greek hero Achilles purportedly used yarrow to heal soldiers’ wounds. Its scientific name honors him. The leaves are very aromatic; smell your fingers after rubbing them. 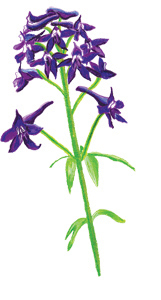 Larkspur flowers have been used to kill lice. Native Americans and white settlers made a louse-killing shampoo by mixing the seeds and flowers with soap. 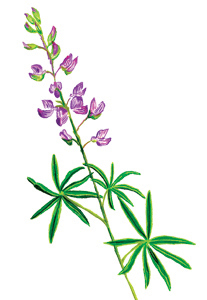 Lupines enrich the soil. Bacteria on the roots take nitrogen from the air and change it into a form other plants can use, then release it into the soil. 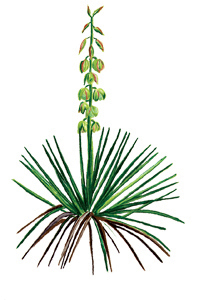 Native Americans discovered many uses for yucca. The leaves can be woven into sandals, mats and baskets; fibers in the leaves can be used as thread or twisted into rope; and the roots and stems make a soapy lather when pounded into water. Gardeners have discovered penstemon seeds grow better when stored for a few years before planting. Exposing the seeds to cold and moisture helps, too. 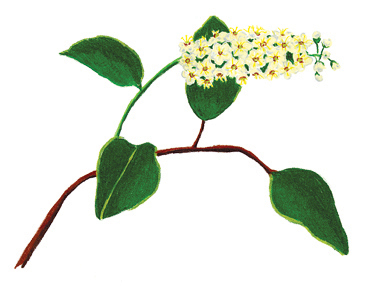 If eaten, this plant can poison people and livestock. 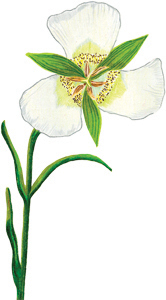 All parts of the plant, including the bulb, contain the poison. 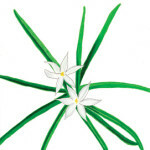 Death camas is easily confused with wild onion, with devastating results. 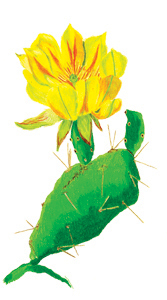 Prickly pear spines are actually modified leaves. Leaves let water in the plant escape into the air, while spines keep water trapped inside, allowing cacti to live in very dry places. 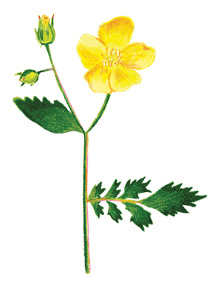 Cinquefoil’s flowers attract caterpillars and butterflies. The leaves typically have apleasantly fuzzy feel. This is Colorado’s state flower. The long spurs in the back are filled with nectar. In 1848, white settlers in Utah faced starvation after crickets, drought and frost destroyed their crops. The Ute Indians came to their aid by teaching them how to use this plant for food. Today it is Utah’s state flower. 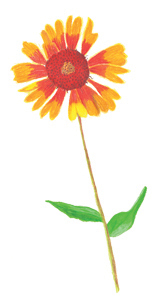 The red heads and yellow bodies of gaillardia moths allow them to blend in while feeding on blanket flower’s nectar, protecting them from predators. 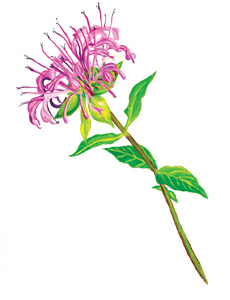 You may have tasted bergamot before—the leaves of European bergamot give Earl Grey tea its special flavor. Seeing a blooming monument plant is a cause for celebration! These plants grow for up to 60 years, bloom once and then die. Penstemon is also called “beardtongue” because of the yellow hairs inside the flower. Pollen brushes off of visiting butterflies and bees and becomes trapped on the hairs. 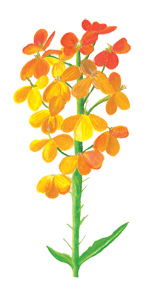 Wallflowers are often very fragrant, and have a variety of petal colors on a single plant. 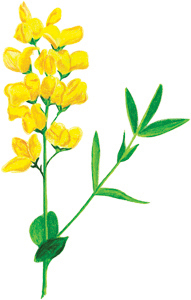 Mustard comes from the crushed seeds of plants closely related to wallflowers. 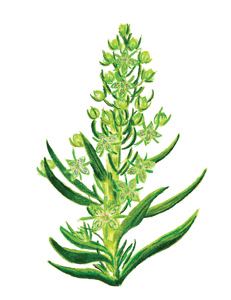 Stonecrop can live in very dry places where other plants can’t, because its succulent leaves and stems store water. In severe drought, stonecrop becomes dormant until rain returns. Asters are a sure sign of fall, and the end of the wildflower season. Each “flower” is actually made up of many tiny flowers. Blackfeet Indians named this plant “crow-root,” because they saw ravens and crows eating it in the fall. For more info on local flora, fauna, trails and related topics, visit the City of Boulder Open Space & Mountain Parks website at ci.boulder.co.us/openspace. 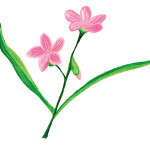 Grow wildflowers from seed with these seeds of wisdom from an avid gardener.